Large garage of 55sqm can be used for storage & parking, comes with clicker for automated roller door. Shared with me, the owner, I don't park & have very little stored in there, most of what is seen in the picture will be removed over the coming weeks, so there's plenty of room! Can be used for parking, storage or both. 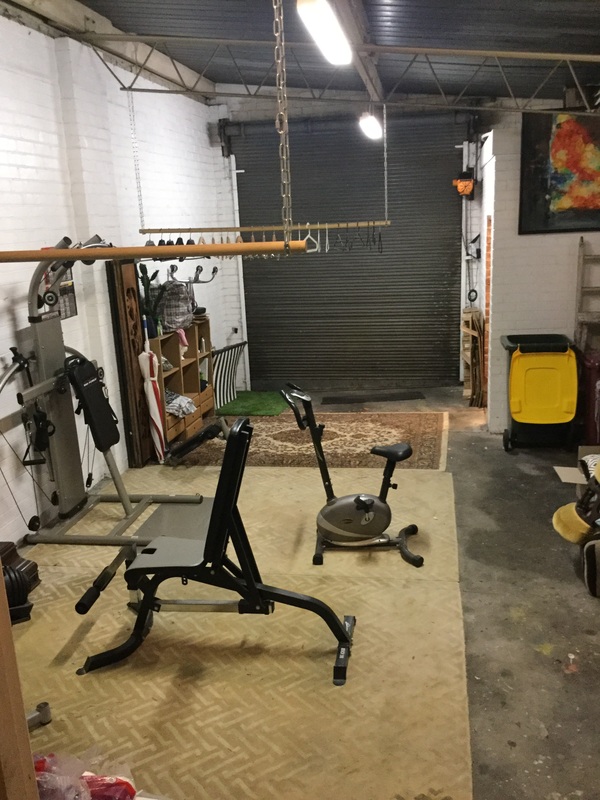 I have my home gym in there and a few items myself stored, most of which I'll be removing over the coming weeks. I would like the space respected as a shared area.